Reno, Nev. October 4, 2018. Washoe County Regional Parks and Open Space is proud to announce the Historic Bowers Mansion will wrap up the 2018 tour season with a bang, including a live Civil War Reenactment. Visitors will be transported to the days of Nevada’s statehood, enjoy the exhibits, grounds and tours of the mansion. 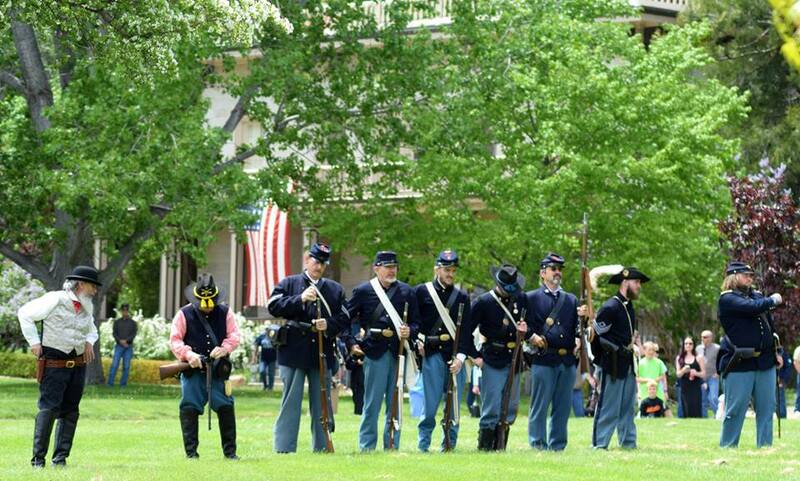 WHAT: Civil War Reenactment at Bowers Mansion. WHEN: Saturday, October 13th from 10 a.m. to 3 p.m.
WHERE: Historic Bowers Mansion, 4005 US Highway 395 North, Carson City, NV (Washoe Valley). DETAILS: The ongoing Civil War exhibits and demonstrations are free. Self-guided tours of the historic Bowers Mansion will be available for $7 Adults, $5 Children & Seniors.